MegaHydrate delivers far more Hydrogen ions than eating pounds of raw fruits and vegetables or drinking gallons of water. Humans need Hydrogen to survive. It is the key to long life and anti-ageing. However, due to mass food production, mineral deficient soil, pesticides, chemical fertilisers, over-processing of foods, chemical preservatives, and drinking over-chlorinated and over-fluoridated water, people do not get enough Hydrogen ions daily. Body cells become damaged, hydration levels decrease and cells age. In summary, MegaHydrate challenges the symptoms of dehydration and minimises the process of ageing. Hydrogen is one of the primordial elements that fuels the development of all life on Earth. Provided by the Sun as rays of light, human beings cannot live without Hydrogen. While science refers to us as carbon-based life forms, man is actually a Silica-based and Hydrogen-based life form. All life on Earth is Hydrogen-based. When plants absorb sunlight, they store negatively-charged Hydrogen ions through the process of photosynthesis. When you eat unprocessed plants, your body's cells utilise the nutrients in those plants and, perhaps more importantly, the electrical charge of the Hydrogen ions in those plants. When your body burns Hydrogen and Oxygen, it generates the energy you need for every single process of life. As a matter of fact, nearly every life form on the planet utilise Hydrogen and Oxygen to generate energy. The key is that without Hydrogen, there is no life. Hydrogen ions are a key fuel and energy source for the human body. Negatively-charged Hydrogen ions can determine the overall health of every cell in the human body. "One daily dose of MegaHydrate has more antioxidant power than hundreds of glasses of fresh vegetable and fruit juices, broccoli, brussel sprouts, leafy greens, and other foods rich in antioxidants to prevent free radical damage". Dr. Patrick Flanagan has studied the remote regions of the world where people live healthy active lives past the age of 100. While the diets in these regions differed dramatically, Dr. Flanagan discovered the amazing fact that the drinking water in these regions was almost identical and came from frozen glaciers that had melted. This water, displays some very distinct physical differences from the water that most of the civilised world is drinking. Dr. Flanagan discovered that the water from these regions contains massive quantities of negatively-charged hydrogen ions. Several decades ago, this fact was confirmed by other scientists. 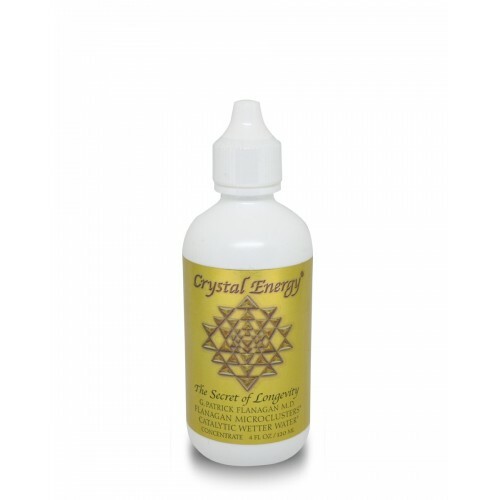 Negatively-charged ions have proven to be highly beneficial to the human organism. Dr. Flanagan also discovered that the water, had very distinct physical properties of viscosity, heat, and energy potential. After decades of laboratory and field research and study, Dr. Flanagan uncovered what may be the most important discovery about the true nature of hydration. He discovered why the waters are so different and can hydrate the human cell so effectively. Megahydrate the secret to Longevity? When certain chemicals in the body lose an electron, they become positively charged (and are called free radicals or oxidants). These chemicals roam freely through the rest of the body stealing electrons from other cells. Free radicals damage cellular DNA. The majority of modern science has come to the conclusion that free radical damage in the human body is the cause of ageing. Science has also discovered that ageing is not a natural function of time passing. Ageing is evidence of the damage to millions of the body's cells through oxidation. This oxidation is due to the lack of Hydrogen ions that are available to stop free radical damage. The human body is under siege by free radicals 24 hours a day, 7 days a week. Pollution, chemicals, fumes, toxins, and other poisonous materials only add to the damage that the body endures on a daily basis. The amount of free radical damage is equivalent to the amount you have aged. 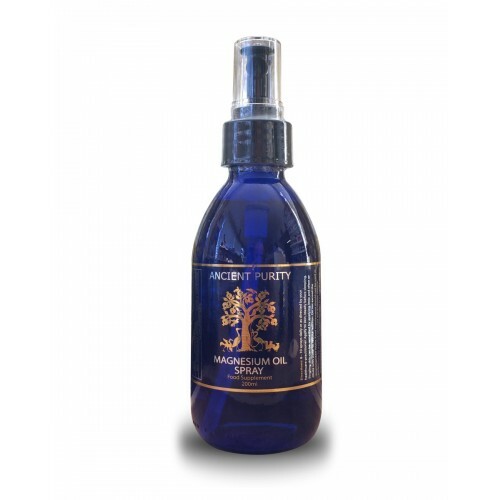 The best known antioxidants prior to Dr. Flanagan's pure Hydrogen ion product were Vitamin E, Vitamin C, Green Tea Extract and Grape Seed Extract. Both Green Tea and Grape Seed Extracts have many times more antioxidant potential than either Vitamin E or Vitamin C. Scientific evidence proves that MegaHydrate is hundreds of times more powerful as an antioxidant than either Green Tea Extract or Grape Seed Extract. 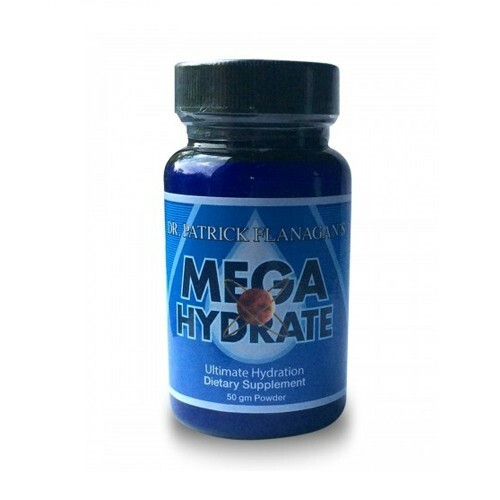 There is no known antioxidant more powerful than MegaHydrate. 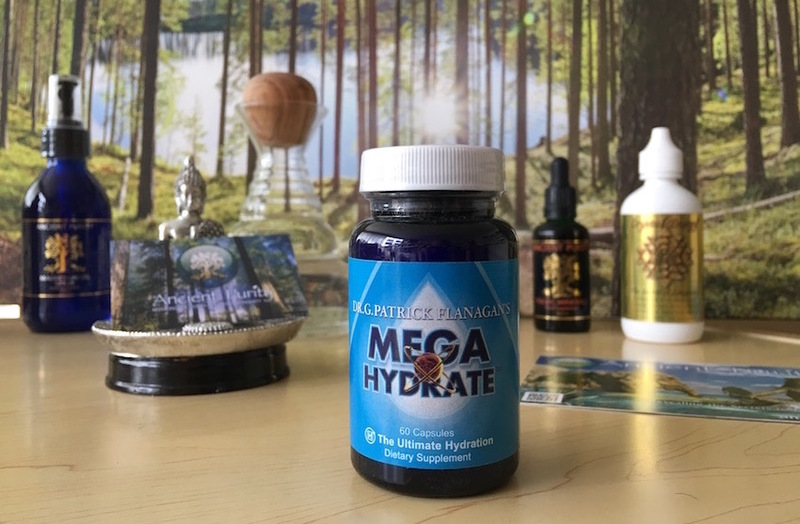 More importantly, because MegaHydrate is so pure, you get far more Hydrogen ions from a daily supplement of MegaHydrate than from eating pounds of raw fruits and vegetables and drinking gallons of water from the Hunza region. The active ingredient in MegaHydrate is Silica Hydride. One very important characteristic of the antioxidant capacity of Silica Hydride is that it is the only antioxidant that does not turn into a free radical (i.e., oxidant) once it has neutralised a free radical by donating its electron. Negatively-charged hydrogen turns into benign gas and/or turns into water. Megahydrates Silica Hydride a compound known to positively affect the zeta potential of blood cells. Increased zeta potential has many positive health benefits. More zeta potential means more surface area for cells. Toxins, viral matter, fungi, and bacteria trapped between cells can be expunged more readily. 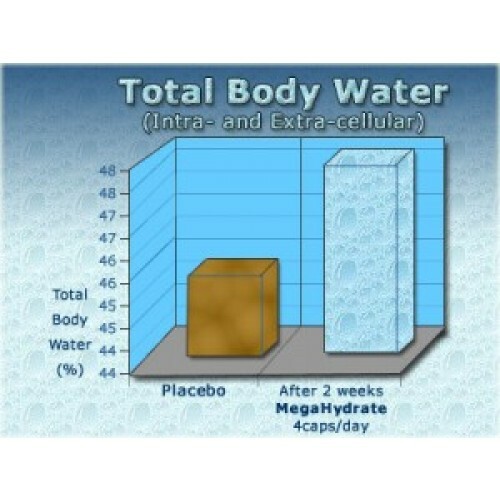 More importantly, water enters cells more easily. 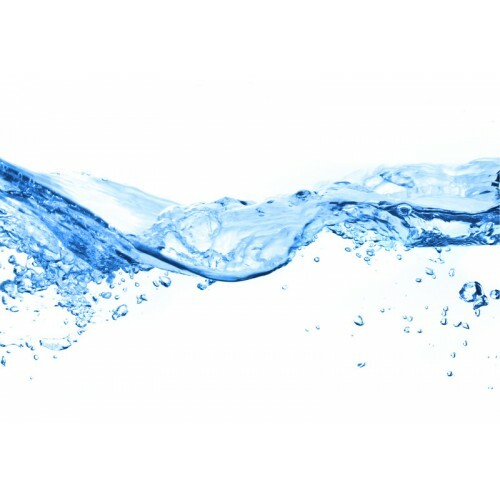 Water is arguably the most vital component of anti-ageing, life extension, and the removal of free radicals and waste. Two Hydrogen atoms and one Oxygen atom make water. Without water, there is no life. 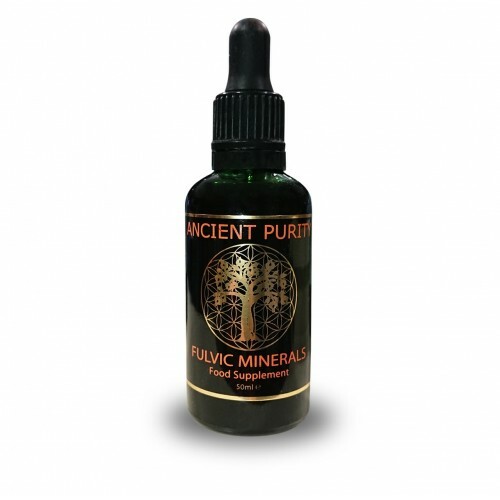 Dr. Flanagan stunned the scientific community with the discovery that the configuration of the minerals within the water, not just their existence, provides the healing waters with there unique hydration and life-giving properties. In order to replicate these beneficial elements of the water, Dr. Flanagan spent the past three decades on the development of a simple and easy-to-use Silica Hydride powder that can hold Hydrogen ions stable over time and releases them in your body when they come in contact with water. MegaHydrate is the product of a lifetime of research and development by Dr. Flanagan. 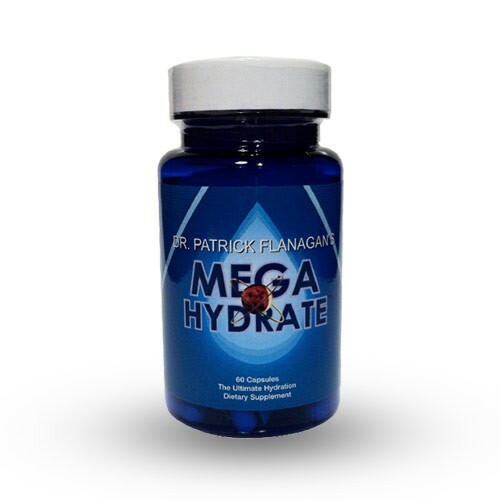 There is no other product available on the planet like MegaHydrate that delivers billions of negatively-charged Hydrogen ions to the cells of the body by simply taking it with water. Dr. Flanagan is credited with over 300 inventions and was named 1997 Scientist of the Year by the International Association for New Science. He also holds a patent pending on his process of manufacturing a delivery system for ionised hydrogen or H- in living systems and industrial processes. Dr. Flanagan holds advanced degrees in nanotechnology, chemistry, bio-sciences, and medicine. He currently lives in Northern California with his wife Stephanie. Take 2 - 4 capsules daily. Building your way up to 4 capsules gradually. Or as directed by your health care practitioner. Some highly respected health gurus say they are taking sometimes up to 8 capsules especially if going on a flight. We recommend everyone begin with 2 capsules daily.